Since the Dayton Peace Agreement (DPA) was signed in 1995, nationalistic parties have dominated the political scene in Bosnia-Herzegovina. The local elections held in 2016 and the general elections of 2018 show these tendencies. The outcomes of these elections show no real shift, especially as there is a tendency to vote along ethnic lines and for nationalistic parties. The situation in the country is not very stable however: Serbs and Croats are working together towards further federalization of the country. The third ethnic group, Bosniaks, are heavily opposed to this initiative. With regards to the EU integration, Bosnia-Herzegovina is lagging behind on other countries in the Western Balkans, because it is unable to implement the requested reforms. Under the current constitution, established in the DPA, the decision making process follows ethnic lines. This causes a complex system of national and entity-level decision making, making it very hard to find consensus needed to work on further EU integration. Citizens went to vote in 2018 for the general elections to decide whether their country will move towards the European Union membership and NATO integration or whether the society will continue to live along the lines of ethnic fragmentation. Although the Social Democratic Party (SDP) has increased their support on national level from 9.5 to 13,9%, the balance between nationalist versus citizens’ parties has not shifted. Consequently it is expected that nationalist parties will form ruling majorities. Since the elections, Croatia has been negotiating with the EU and NATO to force Bosnia to reform its electoral process and its constitution to ensure equality among the three components. Want to get notified by mail when Bosnia-Herzegovina gets updated? The Dayton Peace Agreement (DPA) signed in 1995 to end the war in BiH, determined the Bosnian constitution. As a result, the political system is a complex and an inefficient one. The country is composed of two political entities, Republika Srpska (49 percent of territory) and the Bosniak-Croat Federation (51 percent of the territory). In addition, the Federation is divided into ten cantonal units. BiH is a highly decentralised state with a mixture of a parliamentary and presidential political system. Each political unit has its own governing body, accumulating to 700 elected state officials and more than 140 ministers. As a result, the state system measures approximately 60 percent of the state budget. The EU High Representative, Austrian diplomat Valentin Inzko, is working with the institutions of Bosnia and Herzegovina, reports to the UN on the situation in the country and is the highest authority within BiH. In the following the Federation of BiH will be referred to as F BiH and the Republic Srpska will be referred to as RS. In October 2018 general elections were held. After the October 7 elections, Milorad Dodik, leader of the Alliance of Independent Social Democrats, SNSD, and Dragan Covic, the head of Bosnia’s Croatian Democratic Union, HDZ, confirmed a coalition agreement. Both parties want to work together to form governments on all levels in Bosnia, from cantonal to state level. According to Covic, the results of the elections show that governments cannot be formed without these parties. The presidential trio consists of Dodik, President of Republika Srpska (RS) and head of its governing SNSD, Sefik Dzaferovic, from the main Bosniak party, the SDA, and Zeljko Komsic, from the Democratic Front. Even though Covic lost the Croat seat on the presidency against Komsic, Covic’s party HDZ gained enough support to remain one of the key political parties in Bosnia. Despite anti-government protests in Republika Srpska, the main Serb nationalistic SNSD party of pro-Russian Milorad Dodik kept a strong hold on power. In 2014 the popular appetite for social change manifested itself in mass protest in the Federation. The trigger for them was the closure of privatised companies and, consequently, the loss of many jobs. The spontaneous worker’s protest reflected widespread discontent with politics, political corruption and the economic situation. In the aftermath of these demonstrations people on the streets started organising themselves in so-called Plenums (open parliaments of citizens), which, to a certain extent, proved to be a new democratic instrument. This bottom-up platform for change succeeded, among other things, in forcing the government of the Tuzla canton to resign. Independent experts with no political affiliation set up a new local government in consultation with the Tuzla Plenum. The Plenums, however, lacked the political vehicle to achieve sustainable change. In October 2014 F BiH citizens, again, voted along ethnic lines. The Bosniak majority in the Federation voted for the conservative Bosniak Party of Democratic Action (SDA), the Serbs in RS voted for nationalist Alliance of Independent Social Democrats (SNSD) of Milorad Dodik and Croats for the conservative Croatian Democratic Union (HDZ), the party that objected the Croat member of the BiH rotating presidency because he was not a ‘real’ Croat candidate, meaning not from their ranks. The multi-ethnic Social Democratic Party (SDP) and Democratic Front (DF, a SDP split off) obtained respectively 10 and 13 percent of the votes and ended up in opposition. In September 2016, Republika Srpska (RS), Bosnia and Herzegovina's (BiH) Serb-dominated entity, conducted its planned referendum about the entity’s annual public holiday despite Bosnian and international warnings. RS President Dodik initiated it as a test for a referendum on independence, openly discussing that BiH as a country has no future. BiH’s Constitutional Court has already ruled the day as discriminatory and thus unconstitutional, because it discriminates against non-Serb residents of RS. The result of the local elections held on 2 October 2016 show a continuation of the dominance of nationalist parties and nationalist tendencies within BiH. Multi-ethnic Social Democratic Party (SDP) and its split-off Democratic Front (DF) have managed to slightly increase their support, mainly in urban areas. Furthermore, the elections were marked by the shocking victory of five candidates who were convicted of crimes (including one war criminal) and 14 other candidates who are accused of crimes or are under investigation. Due to the political division within the country, the recent formation of the state level government was not just another distribution of seats among the political elite. The officials in Republika Srpska continue to undermine the power of state institutions, Bosnian Croats continue to work towards a third Croatian entity and Bosniaks remain divided internally. Adding to this the sense that the EU — the Office of High Representative (OHR) still has the supreme governing authority — and the international community have no real strategy for BiH, it is questionable if important steps forwards will be taken in the near future. Furthermore, Dodik’s ruling Serb SNSD is supporting the ruling Croatian HDZ in their demand for a Croatian entity, while the ruling Bosniak SDA sees this dynamic as a proof that Croats and Serbs want to divide BiH, something they say will, and cannot, happen in a peaceful way. It is this dynamic that puts all issues in an ethnic jacket of which the ethnic parties profit. Even if citizens know the party of their choice is corrupt and will bring no change to their socio-economic position, they tend to vote because of the ethnic profile of the party. The presumption by the international community that the continuous reduction of international supervision and the magnetic attraction of EU integration would convince Bosnia’s political leaders to pursue the rigorous reforms necessary for EU accession has proven to be illusory. If anything, the opposite has been the case. Negotiations to amend the existing constitution, established by Dayton, in order to strengthen state institutions and transform the country into a non-ethnic parliamentary democracy, have so far failed to make much progress. The presence of the international community is coordinated through the Office of High Representative for BiH (OHR) which is the state's ultimate authority, responsible for overseeing implementation of civilian aspects of the Dayton Peace Agreement. The international community’s High Representative (HR) in BiH, Austrian diplomat Valentin Inzko, assists the authorities of the country to implement the five objectives and two conditions set out by the Peace Implementation Council (PIC). The PIC was established during the Dayton Accords. The Steering Board of the Council provides the HR with political guidance. However, it has proven to be difficult to reach a consensus on main issues between members of the PIC Steering board that consists of Canada, France, Germany, Italy, Japan, Russia, the United Kingdom, the United States, the Presidency of the European Union, the European Commission and the Organisation of the Islamic Conference represented by Turkey. Therefore the position of the HR on certain issues is vague. The HR’s office must stay in place until the set goals have been achieved and ensure implementation of the 1995 Dayton Accords, which include “peaceful coexistence within one single state of different ethnic communities”. When these goals are achieved, the HR will be replaced by an EU Special Representative for BiH. The EU Delegation to Bosnia and Herzegovina, headed by Peter Sorensen, has increasingly taken up several tasks and is the second largest delegation of the world. The two Western Balkans states that are de facto a protectorate of the International Community, Kosovo and BiH, are lagging behind in the EU integration process compared to their neighbours. On the one hand BiH has not been able to implement reforms that would move the country further towards EU accession, while on the other hand the political elite has an interest in containing the status quo. The constitution that is based on ethnic division and the unwillingness of the political elite to change it have proved to be a major obstacle. As a consequence the EU’s strategy regarding the country changed from reform related conditionality to socio-economic challenges it faced. A written commitment to reforms by the BiH institutions and leadership led to the Stabilisation and Association Agreement (SAA) entering into force in June 2015. The process of establishing the SAA took more than ten years, initiated only after BiH agreed on reforms set as a condition by the European Commission (EC) in its Feasibility Study published in 2003. In the sixteen areas identified by the EU that needed reform, reform of the defence, the police and the establishment of a state law on the public broadcasting system proved to be the most difficult areas to meet EU conditions. This was due to the reluctance existing within RS entity, opposing strong state government at the expense of the entity’s power. Only in 2008 the obstacles were overcome, resulting in new agreements visa facilitation and readmission, as well as an interim Agreement on Trade and Trade-related issues. As a consequence of the political deadlock after the 2010 elections no further required reforms were implemented and the country fell even further behind in the EU integration process. The ethnic and political division and the lack of willingness among the political elite to move forward as the status quo benefits the ruling elite seem to be the main reasons for the slow implementation of the reforms. Pressure from within the society has proven to be crucial for achieving progress. Clear and achievable goals, such as visa liberalisation, are important tools for making concrete steps on the road to EU membership. In February 2016 the country submitted its application to join the EU. This seemingly important international step forward is contradicted by the divisions on the ground and war-time rhetoric by political leaders. According to international observers, the lack of progress mainly has to do with the role of the EU, which "neglected its role in promoting democracy among aspiring member states", a Freedom House report of February 2017 said. Freedom House gave Bosnia and Herzegovina a score of 55, citing a decline in civil liberties “due to officials’ failure to comply with constitutional court decisions, including one prohibiting a referendum in the Republika Srpska”. Instead of addressing the problems with the Bosnian political elite, the EU has chosen to endorse the elite. In the past years the Bosnian political elite has only looked to the international actors’ position, and never felt the need to be represent and serve its citizens. The parliament consists of two houses. The House of Peoples has 15 delegates: five for each ethnic group. The Serb representatives are appointed by the parliament of the RS and Bosniaks and Croats are employed from the parliament of the F BiH. The House of Representatives has 42 members. Two third is elected from the F BiH and one third from the RS by regular elections for a four year mandate. Their role is to adopt the state budget, to elect the government on the proposal of the presidency, and to adopt laws. The government is presided by a prime minister with the official title of Chairman of the Council of Ministers. As both entities also have a prime minister, it is important to understand the difference and on which level these Primie Ministers operate. The presidency consists of three persons elected by direct election for a four-year mandate. The Serb member of the presidency is elected from the RS and the Croat and Bosniak members are elected from the F BiH. They rotate every eight months on ethnic principle. Similar to the state-level, the entity F BiH has a two-housed parliament. The House of Peoples has 58 delegates elected from ten cantonal assemblies: 17 Bosniaks, 17 Croats, 17 Serbs and 7 other nationalities. Its role is to protect the ethnic interests of the represented ethnic groups. The House of Representatives has 98 members elected directly from election districts on open lists. The F BiH’s leader is a Prime Minister. RS has a two-chamber parliament as well, consisting of the Council of Peoples and the National Assembly. The Council of Peoples has the same responsibilities as the House of Peoples in F BiH, but has a different structure. There are four ethnic clubs: 8 Serbs, 8 Bosniaks, 8 Croats and 4 other elected municipal councils, due to the fact that there are no cantons in RS. The national assembly has 83 members elected for a four-year term, around three quarters elected in multi-seat constituencies and one quarter through compensatory lists. RS also has a prime minister, but other than F BiH also has a separate president. In addition there exists the district of Brcko which is a self-governing administrative unit, established as a neutral area under joint Serb, Croat and Bosniak authority. On Sunday 12 October 2014, citizens of Bosnia and Herzegovina voted for the central parliament and the state level presidency, in which the latter consists of three presidents. The presidents represent the three ethnicities in the country: Bosnian, Serbian and Croatian. Next to that, the elections also included the entity level assemblies in both the Bosnian-Croat Federation and the Serbian Republika Srpska. For the latter, a new president was to be elected. The SDA and the SNSD were the main winners of the 2014 elections, with the SDA winning ten seats in the government, whereas SNSD won six. In the months following the elections, the central Council of Ministers has been formed, and is led by Prime Minister Denis Zvizdic of the SDA. A new Entity Cabinet is endorsed in the Republika Srpska (RS). This entity government is comprised of four parties under Prime Minister Zeljka Cvijanovic of the Alliance of Independent Social Democrats (SNSD). The big loser during the October elections was the Social Democratic Party (SDP), which slid from 24.53 percent of the votes during the 2010 elections to 9.45 percent of the votes in 2014. The slid-back comes as most SDP voters were disappointed with the lack of reforms, the deteriorating economic situation and the slow progress in the fight against corruption. 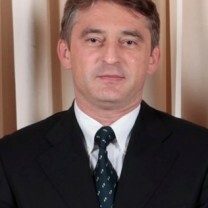 In addition, SDP faced internal struggles as high ranked party official Zeljko Komsic left the party and established a new party: the Democratic Front (DF). 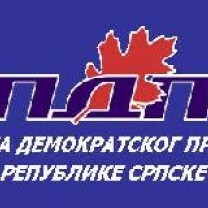 The Serb Democratic Party (SDS) lost its status as leading party in Republika Srpska to the Union of Independent Social Democrats (SNSD) in 2006. However, in the 2014 elections many Serbs turned back to the SDS (formerly led by war crimes suspect Radovan Karadzic) which got 32.64 percent of the votes with 5 seats in parliament. SNSD still came out as the main party in Republika Srpska with 38.46 percent and 6 seats in parliament. *This coalition Domovina or ‘Homeland’ exists out the following parties: Party for Bosnia and Herzegovina, Party of Democratic Action, Democratic Front, Croatian Party of Rights, Union for a Better Future of Bosnia and Herzegovina. In 2010 these parties contested separately in the elections. Bosniaks massively moved away from the multi-ethnic Social Democratic Party (SDP) which greatly won the previous elections. Instead, the Party of Democratic Action (SDA), a Bosnian party, became the main party in the Federation (27.87 percent), and on national level (18.74 percent with 10 seats in state level parliament). The Croats largely re-elected their nationalist parties with the Croatian Democratic Union of Bosnia and Herzegovina (HDZ BiH) gaining 7.54 percent of the votes nationwide, giving them 4 seats in the parliament. Formation of the state government and the government in the Federation entity have been completed in March 2015. 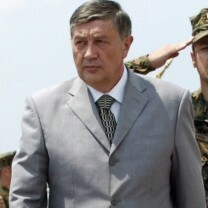 In the end, Fadil Novalić of the SDA was chosen Prime Minister. In the Federation entity, the formation was delayed as more time was needed to select the Serbian deputies for the entity assembly’s House of Peoples. The House of Peoples was not yet officially constituted. Therefore, a candidate for vice presidency of the entity could not be proposed, which delayed the appointment of a premier-designate. Indirectly, the absence of Serb deputies therefore halted the formation of government at state level. The majority of Serbian seats in the Federation House of Peoples belong to the SNSD and the SDP. On Sunday 7 October 2018, national elections were held in Bosnia and Herzegovina. Voters were able to elect lawmakers for the national House of Representatives, for the entity parliament of either the Federation of Bosnia and Herzegovina (F-BiH) or the Republika Srpska (RS), and for the three members of the rotating presidency of the country. The RS elected a new President for their entity. Milorad Dodik, leader of the Alliance of Independent Social Democrats (SNSD) has won the Serbian seat in the rotating presidency of Bosnia and Herzegovina, with 53.8% of Republika Srpska votes in his favour. Dodik has until now been the president of that entity, having won votes for the position in his favour in every election since 2006. Not only did the SNSD regain the Serbian seat in the national rotating presidency, it also saw its candidate Željka Cvijanović win the presidency of Republika Srpska. Quite a change has taken place regarding the Croatian seat of the national presidency. After having been absent from it for four years, Democratic Front (DF) leader Željko Komšić has won the Croatian seat of the national presidency, with almost 20% more votes than the current occupant of that seat, Dragan Čović of the Croatian Democratic Union of Bosnia and Herzegovina (HDZ-BiH). OSCE, Organization for Security and Co-operation in Europe, concluded that the general elections were genuinely competitive but characterized by continuing segmentation along ethnic lines. The freedoms of speech, movement and association were generally respected, “We saw that fundamental freedoms were respected but, at the same time, there is enduring mistrust in the country’s institutions,” said Ambassador Peter Tejler, head of the ODIHR election observation mission. All in all, the 2018 general elections in Bosnia and Herzegovina have shown little change when compared with earlier ones. Bosnians still mainly cast their votes along ethnic lines, and ethnic-nationalistic parties again hold a majority in all parliaments and in the presidency seats. However, the SDP and other multi-ethnic parties have experienced some growth. This shows that there are people in the country who would like to see a change towards multi-ethnic politics and reform. Hopefully, this trend will continue, and multi-ethnic parties will gain more ground in the future. For the to be formed new government, however, the chance of tangible reforms being carried through is not much higher than it was in the past years. Regarding the results of the elections, four developments can be extracted. First, 19 years after the signing of the Dayton Peace Agreement, which unified the three aforementioned ethnicities, citizens are still voting among ethnic lines. Second, the 2014 street protests have not caused many changes in the division of power. Third, opposition leader Mladen Ivanić (Party of Democratic Progress) defeated Zeljka Cvijanovic (the Alliance of Independent Social Democrats) in the election for the tripartite Bosnian State presidency. This is noteworthy, as the re-elected President of the Republika Srpska shares the same party as Zeljka Cvijanovic: the Alliance of Independent Social Democrats. Fourth, Željko Komsić’s new party, Democratic Front, received more votes (12.90 percent) than his former party, the Social Democratic Party (10.14 percent). Željko Komsić changed parties in 2012 due to disagreements with the leadership of the Social Democratic Party. The Alliance of Independent Social Democrats (SNSD) was founded in 1992 by Milorad Dodik. He has been party leader ever since, holding the post of Republika Srpska’s (RS) Prime Minister (1998-2010) and President (since 2010). During the war Dodik propagated inter-ethnic tolerance and managed to increase support for his party. In these years Dodik was a protégé of the international community, which regarded him as a moderate politician who could decrease the influence of the nationalistic Serb Democratic Party (SDS), formerly led by Radovan Karadžić. In 1996, the SNSD led the ‘Alliance for Peace and Progress’ the only Serb party that ran in the elections in both RS and the Bosniak-Croat Federation. In 1998 the party initiated ´Sloga´ (Concord) coalition, the main opposition block in RS against the nationalist SDS/SRS. ´Sloga´ won the elections and formed a new government. In the November 2000 elections, however, the SNSD suffered a crushing defeat by the nationalistic SDS. In 2000 a part of the Social Liberals of RS joined the SNSD (another part of Social Liberals joined SDP) and the SNSD declared itself as a party for the whole of BiH, setting up party branches in the whole country. In 2002 the SNSD merged with the Democratic Socialist Party of RS (DSP). At the 2006 general elections the SNSD won conveniently, securing a majority in the Serb entity. Despite their social democratic orientation, the party set up a rather nationalist campaign to secure votes, presenting itself as the protector of Serb nationalist interests. The international community and other political parties in Bosnia have been accusing SNSD and its leader of slowing down the reforms and EU integration of the country. However, SNSD expressed their commitment to EU integration and argued that all reforms must be approved by all political actors and ethnic groups in the country. Due to nationalist rhetoric of its officials SNSD lost its international support and the party’s membership has been suspended by the Socialist International (SI). The SDP B&H is a full member of the Socialist International and Associate Member of the Party of European Socialists. The Social Democratic Party of Bosnia and Herzegovina (SDP BiH) is a multi-ethnic political party that advocates strong state institutions and European integration of Bosnia. Founded in 1909 by the trade unions and progressive intellectuals, SDP fractions merged into the Communist Party and Socialist Party of BiH. During the war, in 1992, the SDP was shortly part of the government of National Unity. However, they left the coalition after the Party of Democratic Action (SDA) and the Croatian Democratic Union (HDZ) supported the formation of a national army. In 1996, the SDP led coalition (‘Joint list’) won less than 5 percent of the votes, while at the 1997 local election the party went alone and doubled its score. In 1998, the second general elections after the war, the SDP further increased its support and created local branches in Republika Srpska (RS). In the run up to the local elections of 2000, a fraction of the Social Liberal Party from RS, top-level members of the Croat Peasant Party and Social Democrats – led by Selim Beslagic – joined SDP. In the same year SDP had a great result winning elections in 21 municipalities, mainly in urban parts of the country. In the November 2000 general elections the SDP became the strongest party on national level with 21,5 percent of the votes. The "Alliance for change" was formed consisting of several parties and the SDP held important government positions. In the RS the SDP remained weak. Despite the strong engagement in reforms, the party was subject of negative campaigning of the nationalist parties. The SDP was blamed for the bad economic situation, for not finishing the reforms, and for discriminating respectively Croats, Serbs and Bosniaks. In the 2002 general elections SDP got only 16,5 percent of the votes in FBiH and 10,5 percent on national level. Most SDP supporters did not get out to vote, being disappointed by the achievements of the party during two years in government. 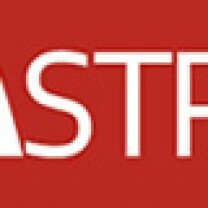 The elections defeat caused a split within SDP. A part of the leadership wanted to make a deal with the nationalists in order to secure their positions. However, the main board decided not to join a nationalist coalition, a decision confirmed by the party congress. As a result, several figures - Ivo Komsic, Sead Avdic, Miro Lazovic and Sejfudin Tokic - left the party and formed a new one. At the 2010 general elections the SDP strongly increased its support again becoming the main Party on national level (19 percent) resembling 8 seats in the House of Representatives, in comparison with 5 seats in the 2006 general elections. This was a result of a strong modern campaign (focusing on economy, education, justice, health care and social policy) and the disappointment among citizens in the ruling parties. They also won the most seats in the Federation of BiH (25 percent). Over the years SDP has strengthen its party structures, for example, forming well organized youth and women organisations. Although the party made steps in improving the internal party democracy, the party leadership is criticised for strengthening their power in the party structures. Zlatko Lagumdzija, who is leading the party since 1997, is propagating a multi-ethnic European Bosnia, not accepting that the current reality of political and societal division is the future of the country. 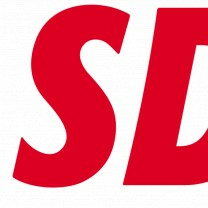 SDP is full member of the Socialist International and associate member of the Party of European Socialists. The SDU was formed in December 2003 by former members of the SDP B&H. Dissatisfaction with the policy of the SDP B&H regarding the refusal to form a coalition with the nationalists and losing the fight for support inside the SDP B&H caused their decision to form a new party. They want Bosnia Herzegovina to be one country with a central government. The former vice-president of the SDP B&H and member of parliament, Sead Avdic, was the first president of SDU but he left the SDU four months later and became an independent. The party calls itself a party of workers, knowledge and social justice. The SDU has no status in the Socialist International and no seats nor at the national level neither on the level of the entity of F BiH. The original party leadership was made up of officers of the Bosnian Serb army. The SPRS was the main Serb opposition party against the SDS, but they shared the SDS's opinion that Republika Srpska should become part of Yugoslavia. The party's views changed over the years from radical Serbian nationalism towards a moderate democratic oriented party. For the September 1998 elections the SPRS joined the Sloga coalition (created by SNSD). In February 2000, however, SPRS left Sloga, because Dodik sacked SPRS' Deputy Prime Minister Gligoric. In 2002 the SPRS split, when the youth of the party formed the DSP (Democratic Socialist Party) and later joined SNSD. On their last congress the SPRS clearly stated that they will never go in coalitions with SDS again. They also stated that their goal is to create a new image and to involve at least 30 percent of youth in the party boards and election lists. After these conclusions the leader, Zivko Radisic, resigned and left the party. The influence of the party on the political field today is marginal. At the elections in 2006 the party lost its seat in the House of Representatives of BiH but gained 3.70 percent of the vote and retained its 3 seats in the elections to the National Assembly of Republic of Srpska. In the October 2010 elections they won 4 seats in the RS Assembly out of 83 seats. The mainly Bosniak party is in favour of Bosnia-Herzegovina as a decentralised but unitary state with ethnically mixed cantons. It advocates political and economic unity and cultural autonomy for the ethnic groups. The SDA was founded in 1990 by Alija Izetbegovic, Fikret Abdic, Adil Zulfikarpasic and Omer Behmen. In the first presidential elections in 1990 Fikret Abdic won the majority votes but he stepped down in favour of Izetbegovic. Later Abdic collaborated with the Serbs and formed his own state during the war and now is prosecuted for war crimes. 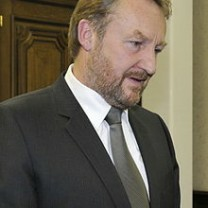 Izetbegovic was an important political figure during the war in Bosnia. During its existence, the party, like Izetbegovic, changed its political course. From a multi-ethnic federalist party, the SDA became an ethnic Muslim party. In 1996 one of the influential leaders in SDA, Haris Silajdzic left SDA and created the Party for B&H, thereby reducing SDA for 1/3. From 1996 till 2000 the Party for B&H was in coalition with the SDA and supported by the Liberal Party. On 13 October 2001 Izetbegovic stepped down as party leader of the SDA and Sulejman Tihic was elected to lead the party. After that the party moved towards the political centre, becoming more open to non-Muslim Bosnians. In the 2006 elections, the SDA won a majority of seats in state (9 out of 42 seats), the Federation (28 out of 98) and cantonal parliaments and formed governments with SNSD, SBiH, HDZ BiH, HDZ 1990, NSRZB and PDP. In the October 2010 elections the party declined to 7 seats in the House of Representatives and to 23 seats in the parliament of the Federation of BiH. They are still one of the biggest parties in the country and are part of the new governing coalition that was formed on 28 December 2011. 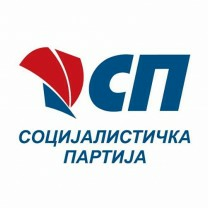 The conservative, Christian Democratic, nationalistic party was formed in 1990 at the first party convention held in Sarajevo. During the war, the moderate wing of the HDZ lost from the radical wing, which sought unification of Herceg-Bosna (the Bosnian Croatian republic established by ultra-nationalist Herzegovinian Croats during the war) with Croatia. The HDZ is striving for ethnic autonomy, varying from autonomy within the Federation B&H to a confederate structure with Croatia. This has occasionally led to conflicts with the High Representative. HDZ split a few times, first in 2000 when Kresimir Zubak and Croats from northern Bosnia formed the New Croat Initiative. After that, several moderates were expelled from the party. When the OHR dismissed the president of HDZ from all political functions, Dragan Covic took over the leadership of the party in 2005. Between 1998 and 2001 he was the Deputy Prime minister and Minister of Finance of F BiH. Covic was the Croatian member of the Presidency on state level from 2002-2005, when he was dismissed by the HR Paddy Ashdown after he was indicted by the State Court of Bosnia and Herzegovina for financial malfeasance and misuse of office. In 2006 another group of members broke away and formed the HDZ 1990 out of discord with the policies of the HDZ and its leader. The HDZ has participated in several Bosnian governments until 2000. They returned to power in 2002, where it remained until 2006. In the elections of 2006 the party joined the Croatian Coalition with the Croatian Party of Rights of BiH and the Croatian People's Union. Together they won 3 seats in the National Assembly and 8 seats in the entity of the Federation. In the latest elections the HDZ went alone and won 3 seats in the National Assembly and 12 seats in the parliament of the Federation. On 17 March, a government was formed in the F BiH entity consisting of the Social Democratic Party (SDP), the Party of Democratic Action (SDA), as well as two smaller Croat parties; Croatian Party of Rights (HSP) and the Prosperity Through Work party (NSRzB). The two largest Croat parties, Croatian Democratic Union (HDZ) and its split off HDZ 1990, denounce the newly formed government as illegal as the declared that the new government does not represents the Croats. 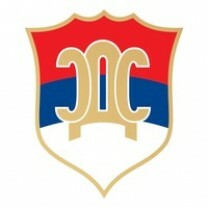 On April 2006 the HDZ 1990 was formed. The party was established by former members of the Croatian Democratic Union (HDZ) who disagreed with the policies of the HDZ and its leader Dragan Covic. The president of the party is Bozo Ljubic. As the party's name suggests, the founders were all key figures from the original HDZ who have walked out or have been expelled. The party strives for a federal Bosnian state in which the Bosnian Croats would have a federal unit. HDZ 1990 is a nationalist party which aims at protecting the national interests of Croats in Bosnia, but has marginal influence. In 2006 the HDZ 1990 won and 7 seats in the Assembly of the Federation. For the 2010 elections the party formed a coalition with the Croatian party of the Rights (HSP) and together they won 2 seats in the National Parliament of BiH and 5 seats in the parliament of the Federation. Until the September 1998 elections, the SDS was the leading Serbs party in the Republika Srpska. The party's ideological orientation is nationalistic. The party's sole preoccupation with the fate of Republika Srpska hampers any discussion on other political issues. During and directly after the Bosnian war, all the parties actions and positions seemed to revolve around its political leader, indicted war criminal Radovan Karadzic. His role during the war and political positions on most issues were unpredictable. Karadzic was forced to resign from his positions in the party he helped to found, because in the Dayton Accords it was decided that people indicted by the Tribunal are not allowed to hold public posts, and are not allowed to run in any elections. Initially, neither the SDS nor Karadzic himself were inclined to obey this ruling, but with strong international pressure they did it to secure political life of SDS. Even in the time of the Alliance for Change, the SDS had a strong position in RS. In the 2006 general elections SDS gained 3 seats in the national House of Representatives and won 17 out of 83 seats in the parliament of Republika Srpska, becoming the second party in RS. In the 2010 elections the SDS won 4 seats in the national parliament and came second in the entity elections of RS winning 19 percent of the votes. Together with the Social Democratic Party (SDP), the Union of Independent Social Democrats (SNSD), the Party of Democratic Action (SDA), the Croatian Democratic Union (HDZ) and its sister party HDZ 1990 the SDS formed the new national government of BiH on 28 December 2011. The SDS made major gains in the 2012 elections. The SBiH is a moderate nationalistic centrist Bosniak party that was founded by Haris Silajdzic, after he broke away from the SDA in 1996. Haris Silajdzic served as an ambassador to the UN, Minister of Foreign Affairs and Prime Minister in the first half of the nineties and during the war in Bosnia. The party's vision is a BiH without entities and a central government. They put a lot of emphasis on the role of the international community in this process. The SBiH declares themselves a centrist party, for liberal market but strong state regulation during transition. 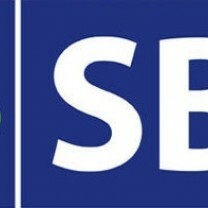 SBiH has practically been in power since 1990 until the elections of 2010. First inside the SDA, later in coalition with the SDA, after 2000 in the Alliance for Change with the SDP and again in coalition with the SDA after the elections of 2006. In the 2006 general elections the party came in second after SDA, gaining 8 seats in the parliament of BiH. Furthermore, SBiH got 24 seats in the parliament of the Federation of BiH and 4 seats in parliament of RS, becoming the biggest Bosniak party in this entity. One of the reasons for this electoral success is that the party led the opposition to constitutional amendments. In the latest elections they lost a great amount of seats gaining only 2 seats in the House of Representatives and 9 seats in the parliament of BiH. PDP is a moderate Serb nationalist party formed by Mladen Ivanic, a professor of Economy from Banja Luka University, in 2000. In just a few months before the elections in 2000 they gathered considerable support and as a result they became the second party after the SDS in RS. The PDP supports the idea of the state of Bosnia and Herzegovina, but decentralized and strictly according to the Dayton Peace Agreement. Their program aims at securing the position of the RS as a strong entity which has to protect the Serb national interests. The party has been supported by the international community. Most of PDP's members are former SDS members and supporters who were not satisfied with the economic reforms carried out by SDS. PDP became part of the Alliance for Change on state level in 2001. After the elections in October 2002, PDP formed a government on state and RS level with support of SDS, SDA, S BiH and HDZ. Mladen Ivanic is former minister of foreign affairs. Former Minister for European Integrations - Dragan Mikerevic became Prime Minister of RS, but Ivanic still has strong influence on him. In the general elections of 2006, PDP became the third party in RS having 8 out of 83 seats in the parliament of RS, which number slightly declined in the 2010 elections to 7 seats. The Union for a Better Future of BiH is a newcomer on the Bosnian political field. It is a Bosniak party led by the media tycoon Fahrudin Radončić who founded the party in September 2009. He is the owner of Dnevni Avaz, the largest daily newspaper in Bosnia and Herzegovina. The party surprisingly won 4 seats at the October 2010 elections, becoming fourth in the national assembly of BiH. Radončić’s speeches have tended to focus on economic issues. However, besides Radončić's attempts to portray himself as the great rebuilder, the party's political program is vague and is centred primarily on Radončić as a personality. Our Party is a social-liberal, multi-ethnic party founded in 2008. The party is active in both the Republica Srpska (RS) en Federation of Bosnia and Herzegovina (F BiH) and tries to break the dominance of nationalist parties within the Bosnian political system. Rule of law and closer ties with the EU are also important for NS. The party has no representation in the entities, but has on local level. There are a number of smaller parties competing for seats in the entities. The Serb Radical Party of Republic Srpska (SRS RS), an ultra-nationalist party who supports the idea of a Greater Serbia, stretching from Istria to Thessaloniki. And the more moderate, multi-ethnic, parties: Democratic People’s Alliance (DNS), Democratic National Union, People’s party of work for progress and the Croatian Party of Rights of Bosnia and Herzegovina. Also, there are a number of smaller parties that have seats in the cantons of the Federation but no seats in the entities assembly. One of them is the New Croat Initiative (NHI) formed in 1999 after the first split in the HDZ by moderate politicians of HDZ mostly from Central and Northern Bosnia. Their founder and leader is Kresimir Zubak, former president of F BiH and member of the state presidency in the first years after the war. They formed a coalition with the Croat Peasants Party (HSS) in 2007. Although the HSS has 'Croat' in its name, the HSS is not a nationalist Croat party, but strongly supports the Bosnian-Herzegovinian state. Its backing mainly consists of Croats driven away by the Serbs from central and northern Bosnia. The HSS is close to social democratic political thinking, but some top members tend towards a more centrist political view. Their party leader is Marko Tadic. The Liberal Democratic Party (LDS) was formed in 2002 by the merger of the Liberal Party of BiH (LS BiH) led by Rasim Kadic and the Bosniak Liberal Party led by Muhamed Filipovic. Before the 2006 elections the Alliance for Change and the LDS merged because they were close to disappearance from the political scene, but that did not help: the LDS hardly passed the threshold of 3 percent and they are only represented in a couple of Cantons in the F BiH. The LDS is a member of the World Liberal Association. Another smaller party is the radical national socialistic Bosnian Party (BOSS) that advocates a Bosniak national state. Their party leader Mirnes Ajanovic has a charismatic appearance in public with his "duce" like speeches, in which he accuses everyone for the bad situation in the country without any arguments. Zlatko Lagumdžija was born on 26 December 1955 in Sarajevo and finished his Masters and Ph.D. in Computer Science and Electrical Engineering at the University of Sarajevo. He has been a professor at the Sarajevo School of Economics and School of Electrical Engineering since 1989. Zlatko Lagumdžija became the President of the Social Democratic Party of BiH in 1997 and a member of BiH parliament in 1996 and both still is. In 1993 he was the acting prime Minister of Bosnia and Herzegovina and after the war he served as the Minister of Foreign Affairs from 2001 to 2003, partly also serving as the Chairman of the Council of Ministers in a coalition of many small parties called the 'Alliance for Change'. The SDP led the coalition government until the October 2002 general elections, when the public, dissatisfied at the pace of political reform, elected the nationalist parties back into power. Milorad Dodik (1959) was born in Banja Luka and studied Political Science at the University of Belgrade. He was chairman of the executive board of the local assembly in Laktasi from 1986 to 1990. In the first multiparty elections in former Yugoslavia, held in 1990, Dodik was elected a member of the BiH parliament. During the 1992-1995 conflict in BiH he opposed the Serbian Democratic Party (SDS) that was led by Radovan Karadzic, in the National Assembly of Republica Srpska (RS) with his Independent Members of Parliament Caucus (IMPC). In 2001 the IMPC merged into the Alliance of Independent Social Democrats (SNSD) and Dodik has acted as its president ever since. Dodik served his first term as the entity's (RS) prime minister from 1998 to 2001. On 28 February 2006, Dodik took up the post for the second time after the RS Parliament elected him, after voting out the previous Serbian Democratic Party-led government, headed by Pero Bukejlovic. Subsequently Dodik became President of Republika Srpska (RS) on 15 November 2010. Initially, the SNSD leader was supported by the EU and the US as a moderate alternative to the dominance of the nationalistic SDS party. But once in power, Dodik proved to be a smart politician that knew how to balance between a pro-European attitude towards Western partners and nationalistic rhetoric within the entity where he blocked reforms more than once. Željko Komšić (1964) was born in Sarajevo. He studied law at the University of Sarajevo and went to the School of Foreign Service at the University of Georgetown in Washington, USA. At the beginning of the 1992-1995 war, he joined the Army of BiH and in 1995, he received the highest military decoration of the BiH Army. From 2000 to 2001, he performed the duty of the Head of Municipality of New Sarajevo and in 2001, he became the first BiH ambassador to Serbia and Montenegro. Due to his disagreement with the policy, he resigned from the post of ambassador in 2002. However, at the local elections in 2004, he was elected for another term as a Head of Municipality of New Sarajevo. He stayed on that post until the October elections 2006, when he became elected BiH President for the Croat seat in the rotating presidency as a candidate of the SDP which was prolonged after he was re-elected in the October 2010 elections. Komšić is a popular figure in BiH. His re-election of President of the Croatian seat in the rotating Presidency frustrated the HDZ who believe he is not representing the Croats, but is too pro-Bosniak. Nebojša Radmanović (1949) was born in Gracanica and went to school in Banja Luka. He graduated from the Faculty of Philosophy at the University of Belgrade. In his professional career, he served as director of the Bosanska Krajina Archives, the Republika Srpska Archives, and the National Theatre in Banja Luka before he became involved in politics. In 1997 he was elected chairman of the executive board of the city of Banja Luka before becoming a member of the parliament of the Republika Srpska. In 2002 Radmanović returned to his old profession at the Archives of Republica Srpska. 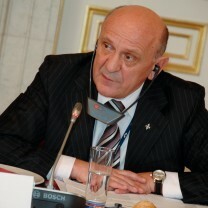 In 2006 he served as the Minister of Administration and Local Self-government of Republika Srpska for a short period of time before being elected as a member of Bosnia and Herzegovina's (BiH) tripartite presidency on 6 November 2006, five weeks after the country's general elections, representing BiH's Serb community as a member of the Alliance of Independent Social Democrats (SNSD). He was elected for the second time to be a member of BiH Presidency from Republika Srpska, on BiH general elections held on 3 October 2010. Bakir Izetbegović (1956) was born in Sarajevo, where he also completed his schooling. He is the son of Alija Izetbegović, Bosnia’s wartime president. Bakir Izetbegović graduated from the Faculty of Architecture at the University of Sarajevo in 1981, after which he became the Director of the Construction Bureau of the Sarajevo Canton until 2003. Starting from 2000 Izetbegović got involved in politics and became a Member of Assembly and Chair of the Party of Democratic Action (SDA) MPs Club in the Sarajevo Canton Assembly. 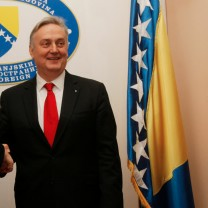 From 2006 to 2010 he served as a member of Parliament of BiH for the SDA and on 3 October 2010 Izetbegović was elected as the Bosniak Member of the rotating Presidency of Bosnia and Herzegovina at the general elections. Born in Bosanski Samac in 1951, Sulejman Tihic is a graduate of the Sarajevo University's department of law. From 1975 to 1983 he served as a judge and a public prosecutor in his hometown, after which he was a lawyer until 1992. During the 1992-1995 war in BiH, Tihic was kept in prison camps run by Bosnian Serb forces for about three months. From 1994 to 1996 Tihic served as head of the consular department at the BiH embassy in Germany. He worked as the BiH foreign minister's advisor on consular affairs until 1999. Tihic has been the SDA leader since October 2001, when he was chosen to succeed Alija Izetbegović. Tihic was a member of the parliament of Republika Srpska from 1996 to 2002, serving in the last two years as its deputy speaker. In 2001, the international community's High Representative in BiH nominated him as member of the parliamentary committee on constitutional issues. Sulejman Tihic was elected a member of Bosnia and Herzegovina's (BiH) tripartite presidency on 28 October 2002, representing the country's Bosniak community until 2006 when he was succeeded by Haris Silajdžić. Tihic decided to focus on his position as party leader and was one of the initiators of the current governmental formation. Vjekoslav Bevenda (1956) is a Bosnian Croat born in Mostar where he studied Economics. Bevenda started his career in the aerospace industry after which he worked for several banks and companies. Since March 2007 Bevanda served as the Finance Minister of the Bosniak-Croat Federation of BiH until he was elected as the new Prime-Minister by the parliament of BiH on 12 January 2012. Bevanda, is a member of the centre-right Croatian Democratic Union (HDZ). Upon his appointment he said his priority would be to revive Bosnia's flagging economy and resume efforts to obtain EU membership. 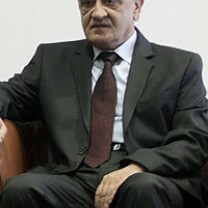 Šefik Džaferović is the vice president of SDA and the current Bosniak Member of the Presidency of Bosnia and Herzegovina. Šefik Džaferović was born in 1957 in the Bosnian town of Zavidovići. After he graduated on the Faculty of Law in Sarajevo, he worked in judicial institutions and for the police in Zavidovići and Zenica until 1996. In 1996 he was elected to the council of Zenica-Doboj Canton. That same year he became a delegate in the House of Peoples of the Federation of Bosnia and Herzegovina. Four years later he entered the House of Peoples of Bosnia and Herzegovina. In the 2002 elections he became a member of the Parliament of FBiH. In 2014 he was elected to the Parliament of BiH with 30.000 votes. In the 2018 elections he won as the Bosniak Member of the Presidency of BiH with over 36% of the votes.